Diesel prices Fuel prices remained mostly flat this week, with prices increasing 7/10th of a cent. 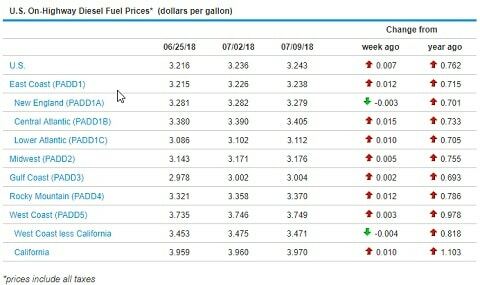 The average U.S. diesel price on 07/09/18 was $3.243. California continues to have the highest prices, while the central Atlantic saw the highest increase in price.